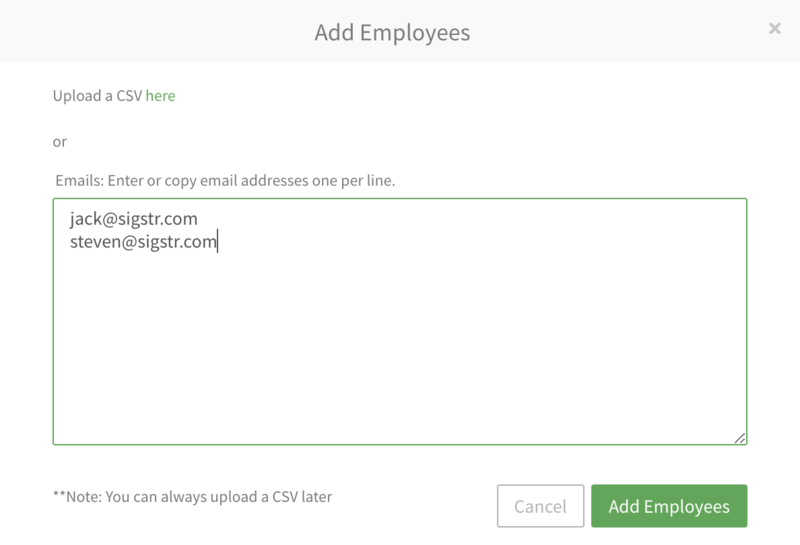 There are numerous ways to add employee information to Sigstr. If you are adding a large number of users, you may want to upload an employee CSV file or connect Sigstr to Active Directory. If you are adding a small number of employees, it may make more sense manually add them to the application. 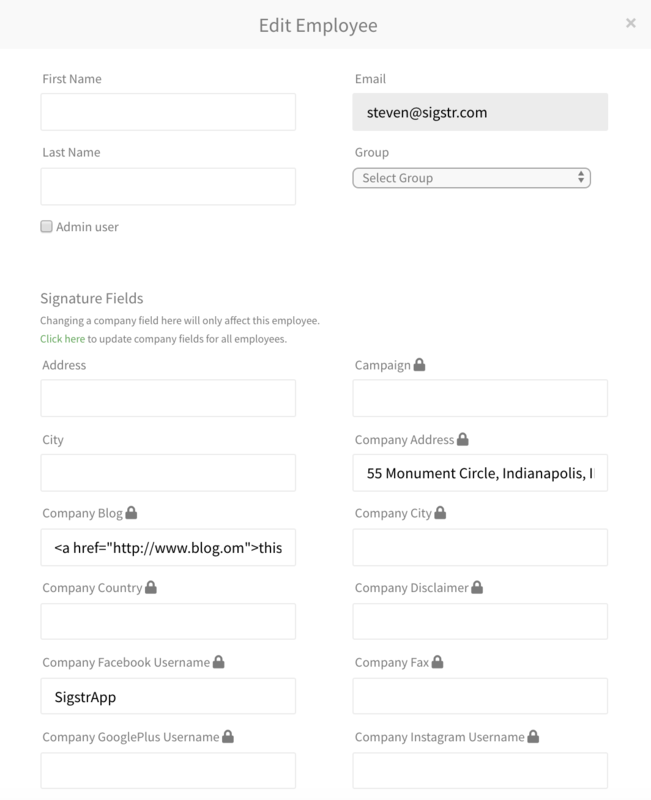 The below instructions detail how to manually add employees to Sigstr. Navigate to the Employees section of your account and click the Add Employees button at the top of the page. In the pop-up window, list the email addresses of the employees you would like to add to the account. 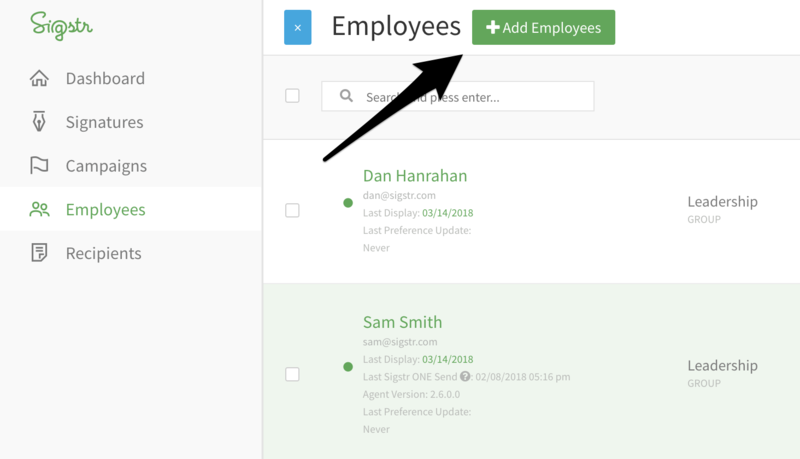 Once employees have been added to your account, navigate to each user’s profile and click Edit Employee. Enter employee information in the appropriate fields. Once employee data has been updated, deploy user signatures through an email client integration or by inviting employees to install manually.